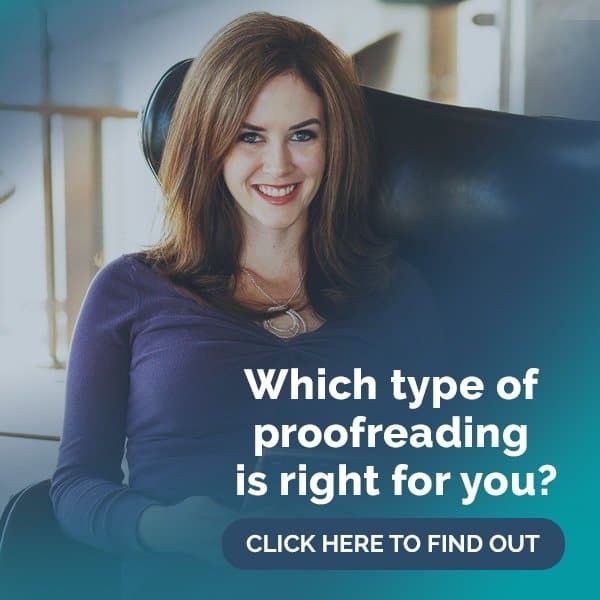 Did you realize that proofreading can be a great gateway into other careers? It’s true! While my heart will forever be with proofreading, it was just the start for me and my growing business. Without proofreading, I wouldn’t be where I am today. The same holds true for Julia Daniels. She became a transcript proofreader but pivoted into freelance copywriting. She expanded her skill set (mo’ skills = mo’ money), and now she can provide financially for her family while still spending quality time with them. Take a look at Julia’s inspirational story below! Q: Hi, Julia! Tell us a little bit about your background. What did your life look like before you crossed paths with PA? I was and still am a small business owner and the sole provider for my family due to my husband’s chronic illnesses. However, I was spending hours away from my young daughter working as a housekeeper. I also teach private piano lessons from home. 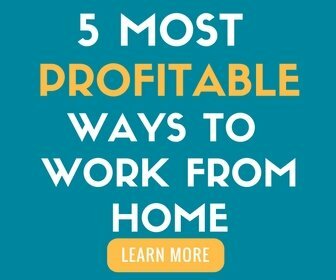 Working from home full-time has always been my goal, but I could never figure out how to successfully make that happen! Q: You’re not alone in finding legitimate work-from-home jobs! So when did you start proofreading transcripts, and what made you decide to learn how to proofread transcripts? My first proofreading job was in November after completing the transcript proofreading course. I found out about the course earlier in May through a post on the Money Saving Mom blog as I was researching ways to make more money from home. Spotting mistakes in grammar and spelling were already part of my reputation. I was extremely excited to learn how to hone and utilize this skill. It was a very positive step forward for me. Q: Tell us a little more about your transition from proofreading to writing. What made you make the switch? My sister-in-law was in the middle of battling stage 4 breast cancer. I was her weekend help with kids, cooking, and cleaning once a month or more. My court reporter client was often needing me for rush jobs, so I was up until 2 a.m. trying to do my best work. Between the extra caregiving and reading transcripts about the wreckage in people’s lives, I knew I needed to change gears. Q: And what made you decide on writing? Right in the middle of annotating practice transcripts, I came across an article about copywriting. I couldn’t keep myself from checking it out. What the what?! Copywriting? Never heard of this before! Even though I love to write, I had never considered that businesses need regular content writers. After I proved to myself that I could be a successful proofreader, I decided to pivot. Q: What type of writing do you do? And how did you decide what to specialize in? There are many different niches in the business writing world. I did have to figure out where to start. Working for “free” for family and friends initially helped me to find my path. I discovered what I enjoyed writing! For now I’m focusing in on client success stories (aka case studies), blog posts, and email newsletters. I love this niche because it’s so positive. Making someone’s business take on a new sparkle because of your words is the cat’s meow! I’m on a mission to eradicate boring business content through storytelling. This grabs the attention of potential clients. It’s a win-win! Q: Did you receive any writing training or take any courses? Yes, indeed. I had NO idea how to write for businesses initially. I took a couple of courses online from AWAI. Books and podcasts from Ed Gandia, Ray Edwards, and Steve Slaunwhite, to toss out a few names, continue to be part of my weekly educational regiment for over two years now. I am still taking classes inside of Carol Tice’s Freelance Writer’s Den. You have to invest in yourself to land good clients and stay out of the “content mills.” Also, I utilized Hubspot Academy to get certified for Inbound Marketing. As a newbie, I really appreciated this basic marketing information. Q: I love that you are committed to continuous learning 🙂 How many clients do you have now? I am delighted to have a couple of regular retainer clients. Building credibility and marketing yourself takes time. I had to practice my skills first. My family and friends were happy to let me practice on their small businesses for free to gain portfolio samples. I was literally starting from scratch unlike some freelance writers who begin with connections from years in the corporate world or a background in journalism. See what some of Julia’s happy clients have to say! Finding good clients without a doubt is still my greatest marketing challenge. I knew nothing about marketing myself other than word-of-mouth referrals for my other business, and I wasn’t tech savvy either! I actually typed up a letter of introduction and hand-delivered it to law offices locally. This is probably really shocking, but I didn’t even have my own Facebook account before Proofread Anywhere entered my life… so I had to learn how to use social media! (gulp) Actually, it was by commenting in an online forum that I landed my first job. Q: What were the most valuable things you learned during the transcript proofreading course? Proofreading really helps my own writing stand out. I’ve come across some sloppy web copy even on lawyer’s blogs. Credibility fail! Oh, my! Let’s talk about learning basic techie skills like using my iPad! Yeah, that was me. The PA online Facebook community rocks! They were a huge help and encouragement along the way even with my tech issues. Finally, I was forced into learning more about marketing because of PA. If someone had told me a few years ago that I would be excited about marketing and business podcasts, I would have laughed. Q: I hear about the fear of technology and marketing from SO many students. I applaud you for kicking that fear to the curb! What advice would you give anyone thinking about enrolling in the proofreading course? Is it worth the money? 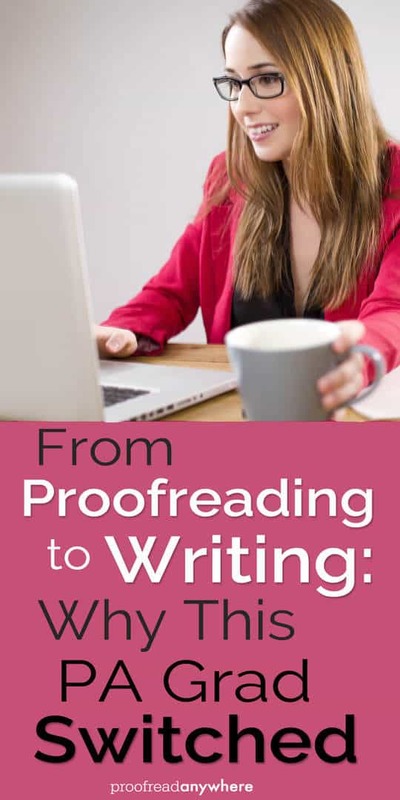 If you are a word or grammar nerd and want to work from “anywhere,” you will love the proofreading course! I earned the price of the course back in a month’s time. You have to be prepared to roll up your sleeves and devote regular chunks of time to study and practice. It’s a very well-laid out, step-by-step course! You will be well prepared for facing actual legal transcripts. I was so nervous when I proofread my first job. The transcript was a wreck — think PT1 — and I was able to fix it! It was absolutely worth the cost of the course for the skills and confidence I gained. Q: Oh, boy… PT1 is famous within our group 😉 What does your life look like now? Anything else you’d like to share about your journey? Ever heard of the fable “The Tortoise and the Hare?” I’m the tortoise! Even though I faced the death of my sister-in-love (not a typo :-)) almost simultaneously with the cancer diagnosis and the current cancer fight of my own husband, my business is steadily moving forward. Slow and steady wins the race, right? Helping other businesses succeed with my hard-earned skills is so rewarding! I expect to reap more financial rewards, too, and my financial freedom goals as I progress. Thanks, Proofread Anywhere, for spurring me onward. Julia is proof that it doesn’t matter how long it takes or what the journey looks like… all that matters is that you keep hustling. What do you think about Julia’s pivot? Is there another skill set you’d like to learn to expand your knowledge and business? Share your game plan with me in the comments! Donna, it’s actually been REALLY hard to put myself out there. So, I have to smile about the inspirational part. That just makes me happy on so many levels. Networking with others has helped to keep me going when I felt like quitting. I’d be happy to connect with you perhaps on LinkedIn. It’s a great place to grow your business. 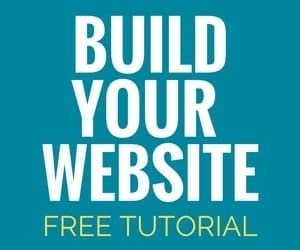 Thanks for offering your unique insight into getting a writing business launched from the ground up. Your personal journey helps us see that there is a niche for everyone. Learning a new skill can take us down an unexpected path, right? I just always figured I’d write that book someday when I had something really valuable to say. I never dreamed I could help promote business success! 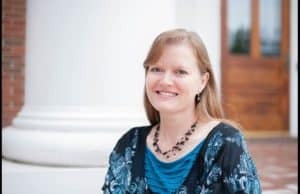 This interview with Julia is inspiring; she has taken what she learned and not only succeeded at proofreading but took it a step further into a new kind of business. Her success will be the impetus for many others to be brave, learn a new skill, and step out. I think there are lots of brave people in the Proofread Anywhere group. Caitlin is certainly inspires that sort of thinking! Julia certainly has the diligence and heart to not only take care of her loved ones, but also her clients. Staying up until 2 am to work while caring for others says more than any words. Her skills and the drive behind them will certainly profit anyone. Proofreading is beyond underrated and completely needed. This is really inspirational! I have enjoyed reading your blogs and articles in the past – you really know how to make a mundane topic interesting to read. ‘Thanks Julia for the inspiration! Death and sickness in a family can slow you down a bit, but I am so glad to read that it has not done that to you and your dreams. Thanks also to Caitlin! She has really been an inspiration from the Work at Home Summit to now. I have not started her course yet, as I am still doing the general transcriptionist course at Transcribe Anywhere. I too want to offer a variety of complementary services. Julia has such a way with words. She is a dedicated caregiver, provider, and writer. Her determination to do a wonderful job at all she does is absolutely inspiring!!! This interview was excellent! Sounds to me like proofreading anywhere is a great opportunity for additional income and expanding one’s horizons. I’m not surprised Julie has discovered it! She is a very articulate and diligent person. This work would be ideal for a newly retired person who wants to keep sharp. Also, I imagine this is a very needed skill in our multicultural environment – native English speakers would have an advantage. Julia is dedicated and professional. I’m excited to see where her work goes.